I’ve been way too busy the last couple of weeks so I missed that PokerStars showed their upcoming new desktop client at the PokerStars VIP Club live party in London more than a month ago. 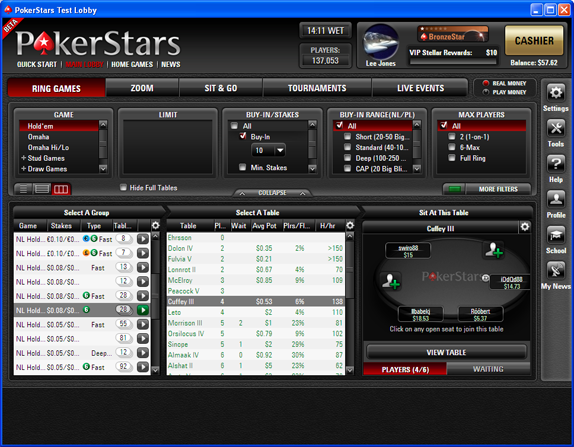 The new client, PokerStars 7, will go into a closed beta soon and it will be interesting to see some more details on what have been changed from the current client. In the article from pokerfuse you can read that there has been a focus on simplifying the experience for new players.